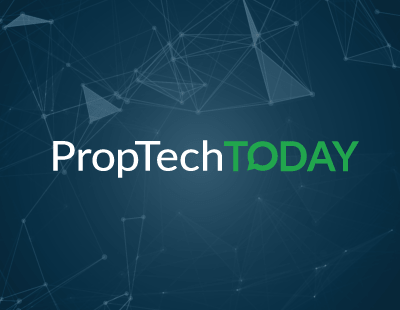 At the end of January the Asian PropTech company PropertyGuru announced the imminent launch of beta-phase testing of its cutting-edge new product, PropertyGuru Lens. This is an innovation which combines Augmented Reality, Deep Learning, Geospatial Data, and smartphone cameras to turn the property search process into an entirely visual venture of discovery. A ‘first of its kind’, PropertyGuru Lens enables homebuyers to look, for example, at a block of flats, through their phone’s camera lens, and instantly learn what units are currently available to purchase or rent alongside other information such as asking price. It’s all about mobile property search with a focus placed firmly on visual discovery rather than search bars and keyboards. For now PropertyGuru Lens is confined to beta testing in Asia but should it prove successful (this kind of tech only improves over time), such innovation will certainly start spreading into the West. When it does, what are the implications for the UK residential property sector? And how are agents going to be impacted? This product is a fascinating blend of AI, AR, and geospatial technology; and one I have followed for a long time. In fact, I would suggest that this blend was what originally got me into the PropTech movement to start with many years ago. Using location data to learn where available units are, in real time, and then digitally overlaying that information onto the phone screen is something that has been often claimed but never a concrete reality. In theory, a hopeful homebuyer might be wandering down the street, see a building they like the look of, point their phone at it and instantly learn whether the property, or any flats within or nearby it, are currently available. If they see a For Sale sign, they can do the same and instantly discover the property’s asking price. This gives the consumer great freedom. The city becomes their property shopping mall, for want of a better phrase. They can travel to a part of town they love and wander around looking for available flats or houses - it’s like Pokemon Go! but with real estate. I don’t think you can underestimate the power of fun and enjoyment that this offers consumers - we are all pre-programmed to be attracted to such qualities. There is no doubting that it is an idea with immense potential, but I can also see a couple of potential issues with the theory behind it. First, use is certainly limited to densely populated urban environments, so, in its current incarnation, the potential is, geographically speaking, somewhat limited. And then there’s a question around security. Providing the exact location of homes available for sale or rent risks becoming an open database of empty, vulnerable property - you can imagine what could happen should some unsavoury characters notice how simple it is to gain this information. This issue only intensifies when said properties are in wealthy neighbourhoods or clearly contain objects of great value. What about the ongoing role of agents? What do new tools like this, blending AI, AR, and Geospatial data, mean for the role of the agent? There’s no straightforward answer. First, PropertyGuru Lens and anything similar that comes after it relies heavily on data, much of which will have to be provided by agents and firms. This is an opportunity for agents to make more money, perhaps even create valuable, long-term partnerships. On the other hand, it might just be another sign that the high street agent is on the way out, increasingly irrelevant. Could this technology help the portals and other online entities truly take a grip on the market? It’s my opinion that this kind of tech may indeed help the prospective buyer or occupant and thus remove a little of their agent’s work, but that it will do very little to change the workload of the agent helping to sell the property. In fact, it could be a great tool - just because the app helps people identify property they might like, the next step is still surely to contact the necessary agent to book a viewing? This is a search and discovery tool. This is a tiny part of the agent’s job. I would say, instead, that this kind of tech threatens not to displace the agent but rather to displace the online portals whose tools and features are already sub-standard. Why would you spend an hour on Rightmove when you have such fun, engaging tools to help find your next home? This point is, of course, moot if the portals get their act in the gear and create similar discovery tools of their own. This blend of data, AI, and AR, adds great complexity to the relationship between high street agents and technological tools. While PropertyGuru Lens could indeed remove the finder’s fees, for example, it could also generate increased revenue through data sharing exchanges and much more. It all comes back to each professional knowing their role and considering how that role might best evolve moving forward. PropertyGuru Lens is a wonderful example of a genuinely useful tool rather than disruption for disruption’s sake and that, I think, should be embraced by all. For agents, there is no downside to enabling buyers to search property more naturally and in a more enjoyable manner, there is no downside in them having instant access to accurate, real time information about the property, and there is no downside in giving the lackadaisical portals a little warning shot. Saying to them, ‘you may have a good hold on the market for now, but if you don’t work harder to remain technologically relevant, people aren’t going to care about you for much longer’. The easier and faster it can be for people to identify available property the better. Agents can be sure of this and have no fear that it threatens their profession in any way. It does leave food for thought, though. Should we be more open with our data, sharing details about all of the properties on our books with AR creators? Might we think about integrating such technology into our own company, perhaps through our own app or even a partnership with an existing provider? And should we still be giving so much money to the big portals? Portals are, of course, first-generation PropTech, not third, certainly not fourth. So, unless they up their game significantly in the coming 12 months, I think agents should seriously consider leaving them behind. There are better options available that deserve industry support. Most vital is understanding job roles today and tomorrow. In light of every new innovation such as PropertyGuru Lens, agents need to be double checking their responsibilities - how does this new innovation fit into, obstruct, help, or hinder my day-to-day workload? How might it affect the amount of money that ends up in my pocket by the end of each month, for better or worse? Technology shouldn’t be looked at as an act of blind terror towards an entire industry - it does not have that power. Instead, each individual has to consider each innovation in context to their own role. This is the only way one can truly understand the respective promise and threat of each new piece of tech, allowing us to either sidestep or embrace innovation on an individual basis. And while deciding between acceptance and rejection can sometimes be tough, when the conversation is around providing better, more powerful and more instinctive search and discovery, agents should be sure to embrace this innovation and show the portals that size and scale can only do so much. Um... FindaProperty seven years ago... look for this on YouTube 'Find a Property iPhone App - Augmented Reality'. This will take a long time to get smooth enough and gather enough data to be adopted- but when it does most properties (if not all) by that time with have VTs (Virtual Tours) so a buyer/tenant can identify available flats and then instantly take a virtual tour of the property. Personally, even when all this tech is applied (and I will be amazed to see this gain any major traction within the next 10 years) the decision makers are still people- and so the value of a human agent is still present. The art of negotiation is, in my belief, not something a machine can be taught. Tech will increasingly 'thin the heard' in agency (as it will in every single sector) but people who deliver exemplary results in their area of expertise (negotiation, due diligence, customer service, etc) will still deliver that final human touch that delivers exemplary results and enables agents to charge accordingly.